That's so lovely, how we inspire each other here with our ideas and combinations. Do you wear them all 3 together Cats? This is really pretty. I love the mix of metals. Nice! And a great steampunk bead. I do love mixed metals, I wish I could wear the copper without turning green. Very nice, , dear Cats! 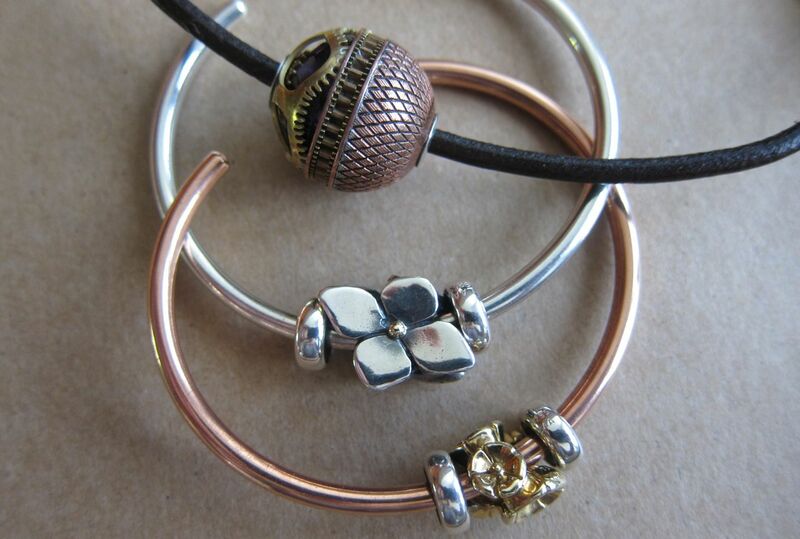 Love the mixed metals! I may have to give this a try too!